Appearances can make a DriveWorks 3D Model more realistic and add realism to a 3D scene. Appearances can also play a big part in the configuration experience of a DriveWorks 3D File. You can configure colors and materials without going back through SOLIDWORKS. This topic looks at Appearances, how you use them and how to create appealing 3D scenes. Below are a list of Appearance properties and how they affect the Appearance of your model. This is a multiplier for the intensity of the Ambient Light on the appearance. You can use this property to make objects look like they are glowing. This is great for lights bulbs. You may need to reduce the Ambient Intensity for transparent models. Affects the strength of the Environment Map. The higher the value the more visible the Environment Map is on the model. It also makes Specular highlights smaller. You may need to increase Specular Intensity as you increase Reflectivity. Reflectivity can be used to make models look glossy or wet. Diffuse Color determines the color of diffused light that hits the model. 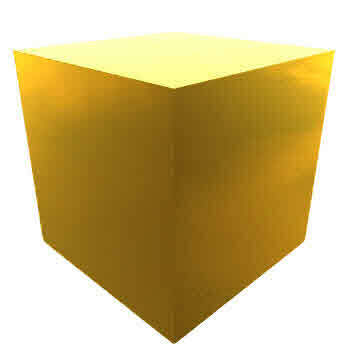 The alpha channel can be used to make objects transparent. For things like glass this can be set very low. The diffuse color is multiplied with the light color. This means that black will always be black no matter how many lights you shine at it. This is a multiplier for the intensity of the Diffuse light on the appearance. For transparent objects, the Diffuse Intensity should be almost 0. Diffuse Intensity should be avoided on objects that are not transparent. This is the color of the Specular highlight on the appearance. This is the shiny area on a model. Specular Color should always be white on organic objects. For metallic materials, use a similar color to the Diffuse Color. Like Diffuse Color this is multiplied with the light color. Specular Intensity is the multiplier for the intensity of the Specular highlight on the appearance. This is the intensity of the shiny spots on a model. You can turn this property up to make things look shiny. 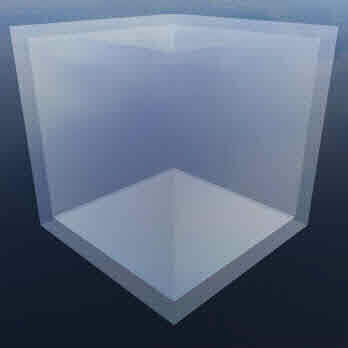 This simulates how light gets reflected by a surface. Texture allows you to browse for an image that exist in the DriveWorks 3D Document or browse for a new image to be used as the Texture for the appearance. Source File Path shows you the path where the image is stored. You can also build a rule for this property to make the Texture image dynamic. Texture Scale X and Y affects the size of the Texture image in the horizontal and vertical direction. The values can be set independently of each other. The higher the number the smaller the Texture image will become. For example: setting the scale to 2 will make the texture tile twice. Setting it to 0.5 will display only half the image. Texture Offset X and Y affect the position of the Texture image on a surface. They allow you to pan a texture and line it up with other textures on other faces or models. These values can be set independently of each other allowing for greater control. Texture Angle allows you to rotate the texture around the top left hand corner. This allows you to rotate the texture and line it up in the correct orientation. Static Models are nodes in a DriveWorks 3D Document that use the Model Entity. The Model Entity allows you to assign Geometry to the Node in the tree. Geometries can have single or multiple Appearances applied to them from the CAD package. Each Appearance will be imported into the 3D Document when the Geometry is imported in. The Geometry will contain a number of Appearances with certain names, if these exist in the 3D Document then they will be used. If these Appearances are changed at the Document level then the Geometry will change as well. It is possible to override all Appearances on a Geometry by using the property called "Override Appearance". Override Appearance will override all Appearances on this instance of the Geometry and replace them with the Appearance specified. To individually control each Appearance on a Geometry, each Appearance needs to exist at the top level of the 3D Document. 3D Models can be replaced into a DriveWorks 3D Document using the Replace Model Entity. When swapping Models into a 3D Document there are times where you may want to modify their Appearances to show highlighting or selection. To do this you would use the Remap Appearance Entity. The Remap Appearance Entity lets you remap an Appearance on the replaced model to be another Appearance in your 3D Document. With this Entity, you have two choices. You can remap all Appearances using an asterisk * or you can type the name of the Appearance you want to replace. It is worth noting that you cannot swap multiple individual Appearances, you can only swap 1 for 1 or all for 1. If the Replace Entity is on a Model Node, i.e. it contains a Model Entity, the Override Appearance property will not work on the replaced file. DriveWorks will tile textures if the surface is larger than the Texture image. Therefore it is important that you use seamless Textures. This prevents any nasty lines appearing on your models. Don't use images larger than 1024 x 1024 pixels. Images bigger than this are large in file size and cause performance decreases. In addition to this GPU's won't render Textures over a certain size. 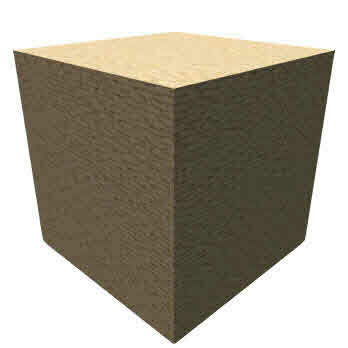 Texture images should be square in size and to a power of 2 (2, 4, 8, 16, 32, 64, 128, 256, 512, etc.). Square texture images provide the best looking models. If a texture is not square GPU's will stretch the image, to the largest power of 2 size, to make it square. This could lead to a significant increase in file size. For example a texture image of 271 x 70 will be stretched to be 271 x 271 and then scaled to be 512 x 512. The file size will increase from 3kB to 79kB. Use textures that are 1024 x 1024 in size or 512 x 512. GPUs may also add white space to make an image square which can leave undesirable results on your models. Use JPG images over PNG. JPG images are smaller than PNG. You should only use PNG files if you require transparency on the Appearance. Keep the file size as small as possible. Some surfaces don't require large textures. If you can compress images, make them smaller in size and make sure they fit your surface. Appearances can be used to imitate shadows in a DriveWorks 3D Document. Shadows add another depth of realism to your 3D scene and model. We simulate shadows by adding a 3D model of a Plane under the model we are configuring. We then add an Appearance to that plane. The Appearance contains a Texture image that looks like a shadow. We do this on demos like the Trailer, Conveyor and Play System. Add a Plane model to your 3D Scene. Use or create an Appearance and assign it to the Plane model. Add a Texture image to the Appearance. Set the Appearance to be slightly transparent. We create Shadow Textures in applications such as Photoshop or Gimp. These photo editing applications let you draw shapes that can be simply used as Shadows in your 3D scene. Medium Specular, stone reflects a good amount of light, it just diffuses a lot of it (matte). Gold metallic color, super polished. High Specular, similar color to Diffuse. Quite matte. Skybox barely visible. Scale texture, most are very magnified. White color with low alpha. Skybox shown to show off transparency.